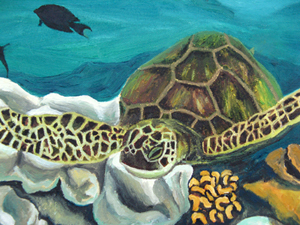 I based this painting on a some photos that I took in Maui with my new under water camera. For me snorkeling is magical because you are instantly transformed into a whole other world with beautiful and mysterious things floating all around you. I love how God makes beauty everywhere, even in the depths of the sea or the ends of the universe where people can't easily see it. It's amazing. 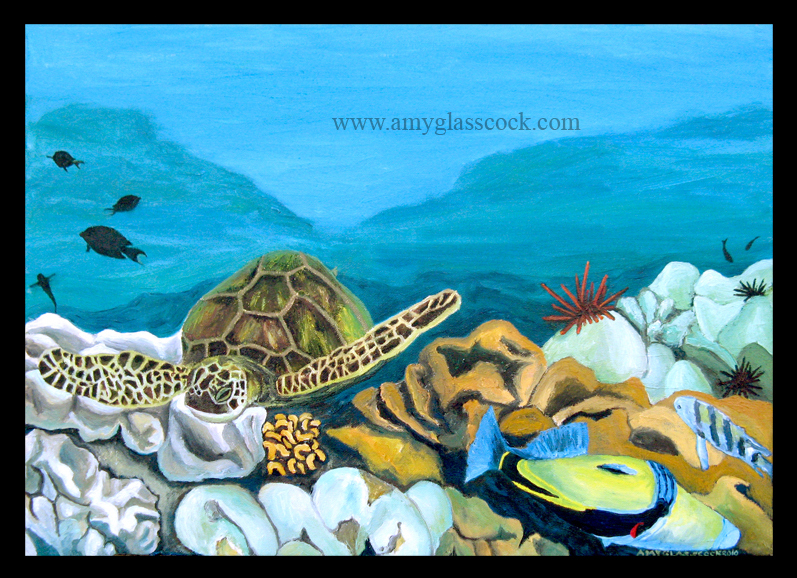 And snorkeling in Maui, there is so much to see that I couldn't help but to be inspired to make this painting! I included this green sea turtle because one of my favorite things about Maui is that you can snorkel/swim with the sea turtles at Black Rock Beach. I also included the Hawaiian Trigger Fish (big fish in the front) because it is their state fish and it's markings are really colorful and unique looking.